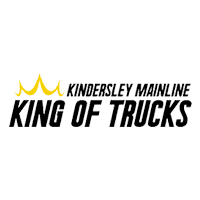 Save THOUSANDS with the Kindersley Mainline Preferred Pricing Program! Eligible employees have an exclusive opportunity to purchase or lease a new Chevrolet, Buick, or GMC at invoice price from Kindersley Mainline Motors. This, along with our great incentives and offers, allows you the chance to save thousands on any of our new vehicles currently listed. Companies such as: Walmart, Sobeys, Shell, Co-op, Air Canada, CIBC, and many more are all eligible! Please Call us or fill out the form below and one of our friendly and knowledgeable Sales & Leasing Professionals will let you know if you’re eligible for the absolute best deal!